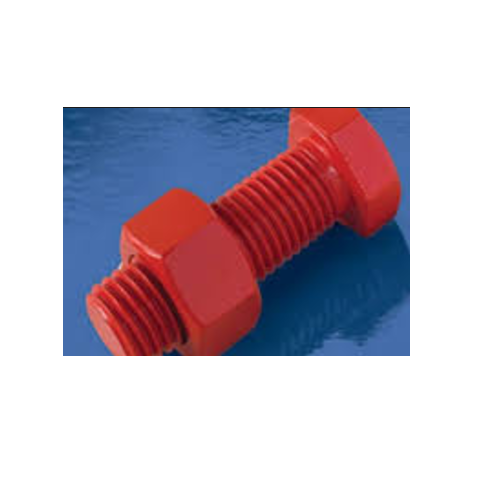 We are specialized in manufacturing and exporting of PTFE Coated Studs, Bolts & Nuts, High Tensile Alloy Fasteners, PTFE Bonded Metals Parts & PTFE Coatings. We are one of the leading manufacturers and exporters of a wide range of chemical coating & linings for all kinds of fasteners, rollers, machine and pharmaceutical parts, fluoropolymer products, plastic moulds, sealing belt, PTFE lined pressure gauges, pipes & fittings, thermo well, electromagnetic flow meter, glass tube rotameter, side mounted level switch and other automation parts along with PVDF coating on aluminum sections. These are manufactured using quality raw material and are widely used in oil and chemical plants, gas plant, pharmaceutical, textile and various other engineering related industries. Moreover, our projects has been commissioned under third party inspection agencies like BV, DNV, GLIS, CEIL as per the requirements of our valued clients.